Speech pathologist in Austin sues local school district for being fired after refusing to sign agreement that she won't boycott Israel. A speech pathologist in Austin, Texas, is suing the local public school district after she was let go for refusing to sign an agreement that she “does not” and “will not” engage in a boycott of Israel, JTA reported Monday. The lawsuit filed on Monday morning in federal court in Texas calls the demand a violation of her First Amendment right to free speech. The woman, Bahia Amawi, was born in Austria and is a US citizen who has lived in the country for 30 years. She has worked since 2009 on a contract basis with the Pflugerville Independent School District. When her contract was renewed in August it contained the no-Israel-boycott clause. Amawi did not sign the contract because she and her family do not purchase goods produced by Israeli companies in support of the boycott against Israel over its alleged “occupation” of Judea and Samaria, the report noted. She is the only certified Arabic-speaking child’s speech pathologist in the district, which has a growing Arab population. Texas Governor Greg Abbott in May of 2017 signed a law prohibiting state agencies from contracting with companies that boycott Israel. The law, known as HB 89, charges the Texas Comptroller’s Office with making a list of “all companies that boycott Israel” and provide the list to state agencies. Those agencies will then be barred from contracting with those companies. 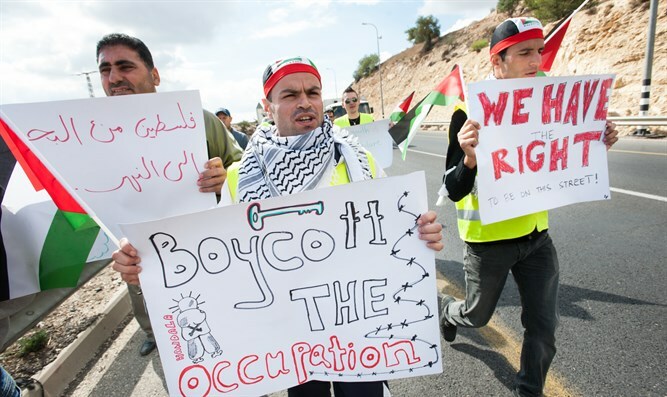 State pension funds are also prohibited from being invested in firms involved in the Boycott, Divestment and Sanctions (BDS) campaign against Israel. Texas is one of many states to have signed anti-BDS legislation in recent years. Now there are 26 states with such legislation and another 13 pending, according to Palestine Legal. These include New York, California, New Jersey, Indiana, Florida, Tennessee, Arizona, Michigan, Montana, Kansas and Virginia. The American Civil Liberties Union has raised objections to many of the laws, saying they inhibit free speech. The group achieved some success in Kansas, where a federal judge in January temporarily blocked the local anti-BDS law.